Employment and skills charity WISE Ability has relocated into newly refurbished offices in Sheffield to allow greater interaction with jobseekers. The charity, which delivers quality employment support, skills development and community development services to the community through a range of initiatives, has moved to St James House to capitalise on more flexible working space. It has taken 6,000 sq ft on the ground floor of the building, being marketed by the Sheffield office of Knight Frank and Fernie Greaves, and become tenants alongside companies including Green Eco Grants, PK Education, Teaching Personnel and IBM. 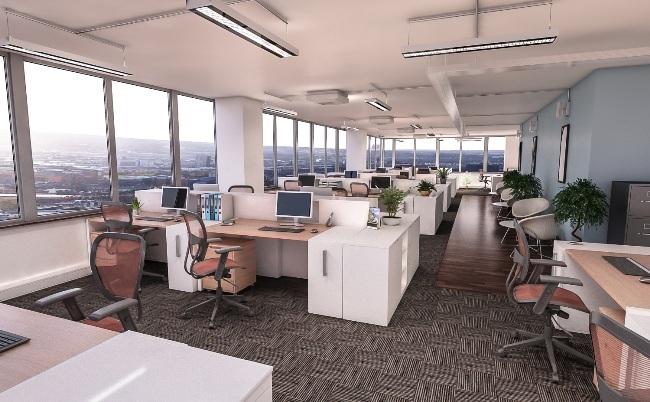 Manchester developer MCR Property Group is completing the £1.25m refurbishment project on the 11-storey, 57,000 sq ft building in Sheffield’s Cathedral Quarter to provide much needed small to medium sized office suites in the city. Rebecca Schofield, partner at Knight Frank, said: “The refurbishment project has been extensive on this building with the internal works, which includes new decor, communal areas and reception, and external works including new window replacement, nearing completion. St James House is located between the Fargate shopping area and the professional office areas of Campo Lane and Paradise Square, alongside popular office developments including Fountain Precinct and The Balance.